September is a month for adventuring and travel. It’s a month for exploring new lands, or undiscovered parts of ourselves. Routine and the usual choices will hold no interest for us. We will long for life to surprise us, and we’ll feel compelled to try new things. We will be less held back with worry about what other people think of us. Keep that in mind as we look at the gifts of inspiration which the oracle card Alice in Wonderland brings us. Alice in Wonderland asks us to look at the patterns in our lives. When we do the same thing over and over in the same way we cannot expect to get a different result. This week we are encouraged to break patterns where our thoughts, actions and behaviours no longer serve us. We are also encouraged to create new patterns that are healthy and supportive. Remember that you can always seek help for this if you know you need to change but you don’t know how to do that on your own. What can you do to create more balance and sustainability in your work, your health, your home life and relationships this week? This week it’s easier for us to view our lives from a higher perspective – to be less judgemental of ourselves and others and more able to see potential solutions and opportunities for breakthroughs. Alice in Wonderland also brings gifts of mindful pleasure, of owning what makes us happy and taking responsibility for the outcomes of our lives. What can you do to support yourself well this week, to nourish your soul and to give you emotional satisfaction? Pyrite promotes confidence, good decision-making, courage and the ability to embrace your potential. Tree Agate heightens your intuition, connecting you to synchronicity, soul wisdom, guides and universal energy. It will help you to work out your priorities and where to best spend your precious energy. 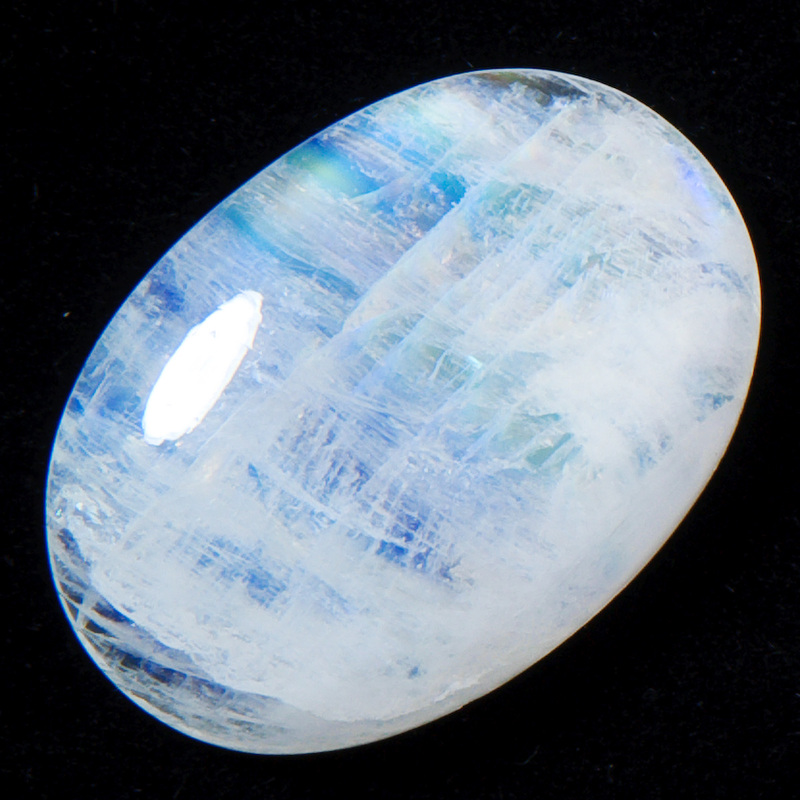 Moonstone (pictured) will help you to feel deserving of pleasure and happiness in your life and to know what will nourish you emotionally. Snowflake Obsidian is a wonderful stone for any form of pattern-breaking. PS: Monday’s oracle card, ‘Alice in Wonderland’, is from the Inner Child Cards – A Fairy-Tale Tarot. I use any cards shown as a prompt for channelled messages and my own own intuitive wisdom, so my take is sometimes quite different to the meaning found in a book.